A sold-out crowd of 450 enjoyed a unique roaming feast, with a selection of hors d’oeuvres and small plates from popular Lincoln Square restaurants Bistro Campagne, DueLire Vino & Cucina, Fork and Miku Sushi. Teaching artists from the Old Town School entertained guests as they made their way along Lincoln Avenue. 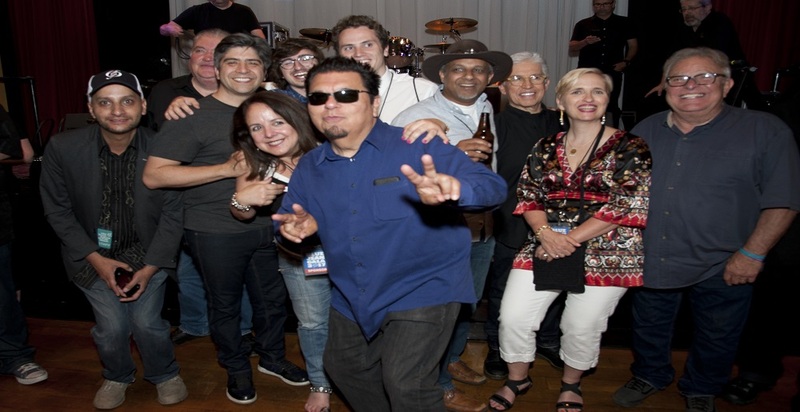 Multiple Grammy Award™-winning band Los Lobos gave the main performance in the Gary & Laura Maurer Concert Hall. Through a silent auction and pledges throughout the night, guests raised more than $450,000, which will support Old Town School’s mission of providing arts access to all including outreach programs and financial aid. Founded in 1957 and celebrating its 60th Anniversary in 2017, the Old Town School of Folk Music provides a wide range of music, dance, theater, and visual arts courses to people of all ages, abilities, and backgrounds. Whatever one’s interest, the Old Town School provides broad access to more than 700 accredited class offerings, private lessons and over 400 concerts per year.